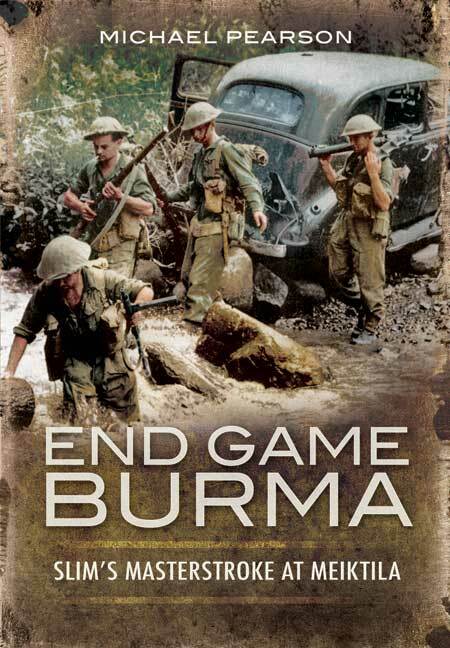 You'll be £4.99 closer to your next £10.00 credit when you purchase End Game Burma 1945. What's this? When the Burma campaign is discussed, the turning point battles of Imphal and Kohima are most often thought of. However General Bill Slim's bold but risky plan to outflank the Japanese on the Irrawaddy at Mandalay deserves far more credit. With the Japanese withdrawing, Slim's 14 Army (with two Corps – XXXIII and IV) risked a punishing crossing of the mighty Irrawaddy at Mandalay opposed by the main Japanese army. To avoid this is was decided to split 14 Army and send IV Corps on an arduous 300 mile march to seize the town of Meiktila, 85 miles south, a vital rail and road hub and the main Japanese administrative base. Complete secrecy was essential as if the Japanese realised they faced only one Corps rather than two, they might have counter attacked successfully. In this detailed analysis of this crucial manoeuvre the author describes the plan, the risks, the actions, the seemingly insuperable logistic problems, and the efforts to retain US air support (for which Mountbatten was largely responsible). A fascinating and overdue study of generalship of high order, and charts the decisive moments in the brutal Burma campaign. Well illustrated and well referenced, this is a valuable addition to our knowledge of comparatively little-known elements of the Second World War. Michael Pearson has had a lifelong interest in maritime history and shipping. He worked in the shipping industry in the city of London for over twenty years. He now researches history full time. He lives at Westcliffe-on-Sea, Essex.